HMR Engineering Co. Limited was founded since 2012. 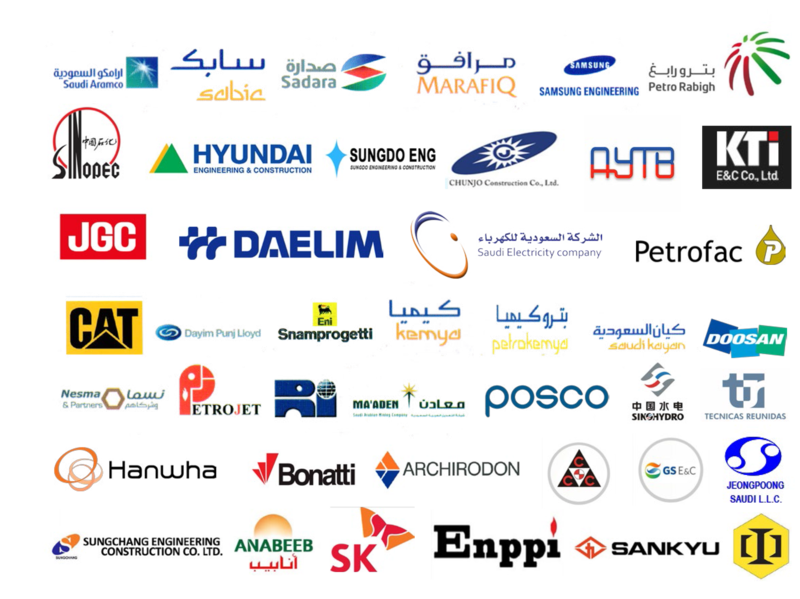 Through the effort and hardwork of our team, HMR now became the leading one stop provider of wide range of Manpower’s, Equipments, Safety Material, Contracting and solution in one of Saudi Arabia most interesting growth markets such as Oil & gas refineries, Chemicals, Petrochemicals, Power & desalination and fertilizer. HMR have catered to several large companies in the past and have had a good working relation with all of them no complains and with satisfaction. HMR, proudly pronounce our personal commitment to understand, meet and when possible, exceed our Customer’s Requirments through the continous improvement of our processes. We are dedicated to delivering defect-Manpower, Safety Materials and Contracting on-time at the most competative cost possible. At HMR Eng., We guarantee Safety and Satisfaction. To be known as the best Manpower Company in the Middle East which provides Manpowers, Safety Materials and Contracting and Support Services power solution. Empowering a dedicated team who is always willing to give their 100 percent. Fulfilling our Promise is our aim. Our employees are our strength and hope for our future. Gaining your trust is our profit. The Company was formed to provide general contracting Services and subcontract work in the commercial and industrial industries. HMR Engineering is licensed in the Kingdom for general construction. HMR Engineering highly technical, operational and administrative staff accross disciplines to a wide range of public and private sector clients in the Kingdom of Saudi Arabia. HMR Engineer has an entire range of heavy construction machineries and Service ready at your disposal. We own and operate a fleet of heavy equipment which is provided directly under our client’s control on agreed rental basis. HMR Engineering Industrial Services is a leading material supplier to the local and International engineering and contracting companies & to the end users catering to the requirements of the oil and gas, petrochemical, power and desalination, Civil engineering and other associated industries. HMR also provides equipment such as CCTVs, Door Access Card systems, Video Intercom Systems and Computer Networking services. Our Goal : No one Gets Hurt The company will ensure that all practical steps are taken to safeguard the health, safety and welfare of all employees, visitors and contractors to all premises or operations within our control. The company will ensure employees are provided with such information, instruction, training and supervision as is necessery to secure the helath and safety at work of all employees. A Health and safety policy sets out your general approach and commitment together with the arrangements you have put in place for managing health and safety in your business. It is a unique document that says who does what, when and how.